This article was the one that attracted almost everyone's attention seeing that it will require large online platforms such as Google, Facebook, Twitter, and YouTube to always keep an eye out on what their users are uploading and block all copyrighted items such as videos, images, and text. Google, one of the most heated critics of the two provisions, is now testing a new search engine results page (SERP) template where the EU Copyright Directive is applied to the listed search results "to understand what the impact of the proposed EU Copyright Directive would be to our users and publisher partners," according to Search Engine Land. As the SERP screenshots show, Google's search results will look like a deserted town, with no article titles, no images, and no news summaries, or "like pages that have failed to completely load" as Search Engine Land's Greg Sterling very appropriately describes them. 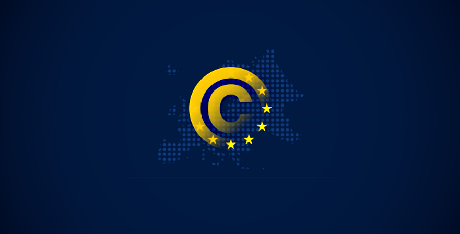 The proposed "Directive on copyright in the Digital Single Market" seeks to ensure that artists (especially small ones, for example, musicians), and news publishers and journalists benefit from the online world and the internet as they do from the offline world. JURI continues to say that, because of the current outdated copyright rules, the ones collecting all the rewards from the work of artists, news publishers, and journalists are news aggregators and online platforms, hence making it very hard for content creators to earn a decent living. • No new rights or obligations are being created. What is currently legal and permitted to share will remain legal and permitted to share. How the Internet in the EU and Google's search results will look like after the EU Copyright Directive will be sent to the EU government to be enacted as a law is not yet known. However, given the way similar copyright legislation performed in Spain and Germany, the future looks very bleak for both journalists and EU citizens who want to freely access news content on the Internet. Unlike people in other parts of the world, European citizens may no longer find the most relevant news across the web, but rather the news that online services have been able to commercially license. We believe the information we show should be based on quality, not on payment. And we believe it’s not in the interest of European citizens to change that. Five days ago, when the Q and A page addressing the EU Copyright Directive was published European Parliament's website the discussions were still ongoing, with the directive's text subject to modification during the trilogue negotiations taking place between the European Parliament, the European Commission, and the Council of the European Union.